Start the year right with a New Year's Resolution you can actually keep and will take most people less then an hour to complete. Follow these simple steps to dramatically improve your security and privacy online. While many of the classic new year's resolutions fall quickly by the wayside, here is one you can complete quickly and will have lasting effects to protect you online. This is a list of simple actions you can take including links to more information where possible. In most cases completing everything on the list is quick and the scans can be left unattended overnight. Think that's too much or too hard? Imagine how hard it could be if your password was compromised - especially if it was one that lead to any financial transactions? Or if un-patched software on your machine leads to data loss. 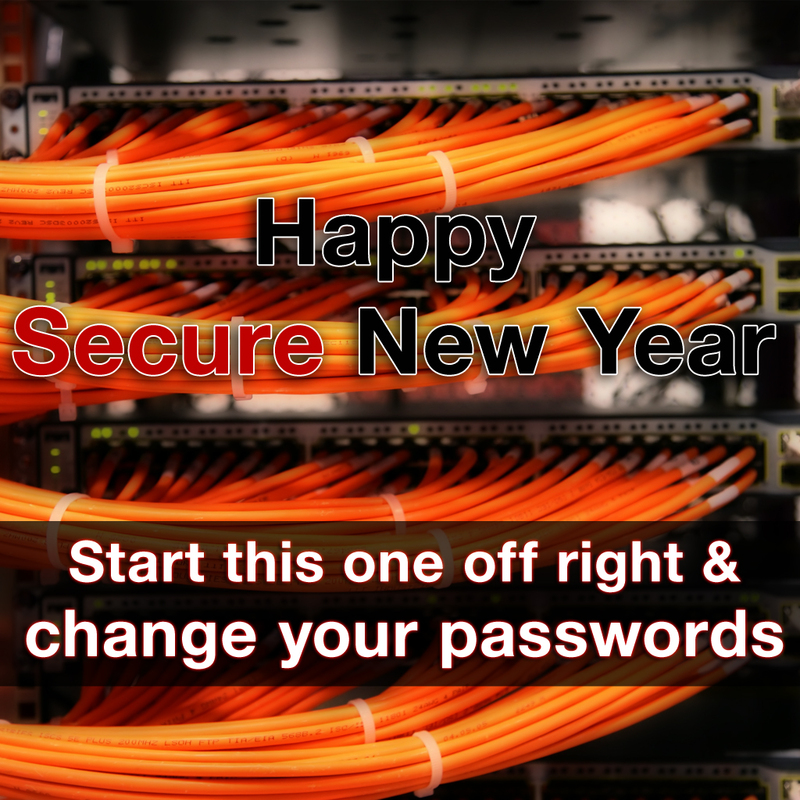 At the very least ensure you're not using the same password for everything, make sure it's secure, and run a software update on your machine - try http://www.ninite.com if you're on Windows and want to keep it simple! 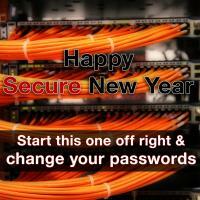 Have a safe and secure new year!